Introducing the new Flywheel Cloud Platform! When we entered the hosting space over five years ago, we had one goal: do things a bit differently. This meant architecting a new type of hosting platform. One that used the latest technologies, focused on abstracting the techy stuff away, made WordPress sites incredibly fast and secure, and surfaced software tools to make WordPress site development and management a breeze. A lot of people thought we were a bit crazy, but this goal remains intact today. To continue to earn our customers’ business, we spend a lot of time asking ourselves what the future version of Flywheel looks like. How can we continue to provide the fastest, most secure, and most reliable WordPress hosting platform in the industry? What aren’t we doing for our customers that we should be? Over the last year, our platform engineering team has been hard at work re-architecting the next generation of the Flywheel WordPress hosting platform. Remember, we first launched our platform over five years ago… which is like 100 in internet years! Since the first WordPress site launched on Flywheel, we’ve watched a wave of new web technologies launch and new innovative services enter the space. Much of which allows us to offer even better performance, security, and reliability while also allowing us to build new platform-level workflow tools. Today, we’re excited to introduce our brand new Flywheel Cloud Platform. It leverages Google Cloud and the latest technologies to offer enterprise-grade infrastructure to all of our customers — big and small! We’re proud to share it with all of you today. What is the Flywheel Cloud Platform? On the surface, our customers manage their sites with our easy-to-use dashboard. Underneath the dashboard, however, there’s a lot of technical stuff happening to make WordPress sites go. That’s where our platform comes in. Your site’s performance, security, and reliability are all built into how our platform is architected. We’ve built our new Cloud Platform to be more scalable, more resilient, and even faster. This is made possible through our partnership with Google Cloud, and our newly architected platform built with containerized technology. We’ve hand-crafted the architecture so that sites scale and heal as needed, allowing us to offer the best WordPress hosting experience for our customers. 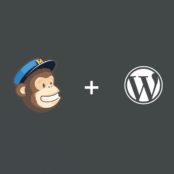 Each WordPress site on our platform will heal itself in the event of any service failure. As an example, if there are issues with PHP, your site won’t go down… it’ll just fix itself! While we’ve always provided great uptime for your WordPress sites, auto-healing technology improves your site’s resiliency even more. You shouldn’t be punished when your marketing success means spikes in traffic, and you shouldn’t have to jump through hoops to prepare for your next national TV appearance. With our new platform, scaling your site to millions of visitors happens instantly. There’s no need for downtime or a migration to more hardware! As part of our new Cloud Platform, we’re also introducing our new Content Delivery Network. We’ll be offering free global CDN to all customers on our Cloud Platform. Any existing customers with our out-of-the-box CDN add-on will be able to receive free CDN during their upgrade to our new platform. Along with re-architecting our platform, we’ve also redesigned our caching technology from the ground up. With Flywheel’s Cloud Platform, your sites will perform even better. Our new caching technology takes into account the most popular WordPress themes and plugins to make sure your site’s pages are cached when they should be and aren’t cached when they shouldn’t be — with no work from you! On our classic platform, we only offered staging sites on personal plans and above. Starting today, any customer on our new Cloud Platform will have access to our staging feature — even Tiny plans! If your site’s growing and every visit is mission-critical, our new platform offers the ability for full redundancy and high-availability without complicated migrations or updating DNS. If you’d like to learn more about this, please contact your account manager or hit up our sales team! You can find a great comparison between our classic platform and Cloud Platform here. How can I get access to the new platform? Over the weeks and months ahead of us, we’ll be making our Cloud Platform available to all new and existing customers. We’ll begin upgrading existing customers beginning in the next few months. When you’re selected to be upgraded, you’ll receive a notification on the next steps. You can rest assured it will be a simple, smooth process! Hello! Some of our new customers are already taking advantage of the new platform; over the next few months, we’ll be rolling out Flywheel Cloud to all new customers. If you’d like to see if you’re eligible for early access to the new platform, you can do so here!